The Quest for the Sea Serpent: An Oarfish or Something More? In the 16th century, the ocean was a terrifying place. Creatures of unimaginable size and ferocity stalked the waters. One such beast was Soe Orm. 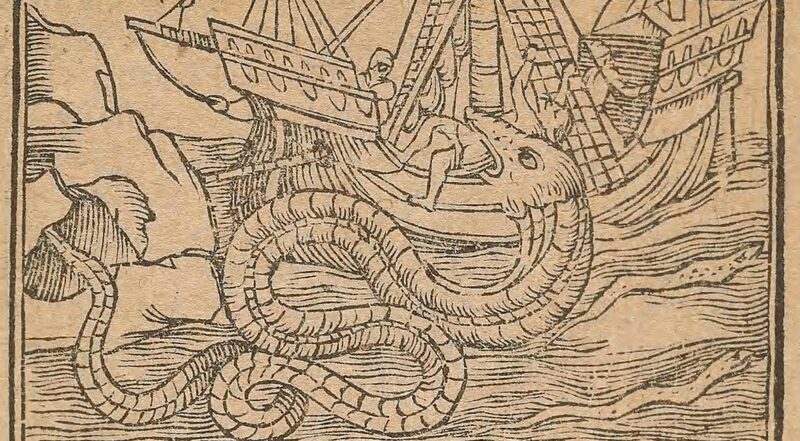 Olaus Magnus gave this gripping description of his sea serpent, accompanied by an equally formidable woodcut, in the 1555 masterpiece Historia de Gentibus Septentrionalibus (ca. 1557 edition available in BHL).